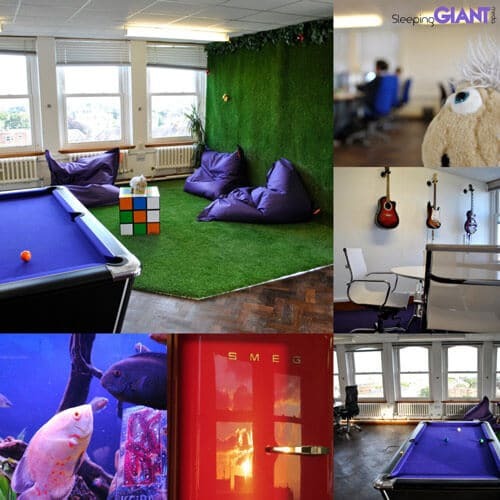 If you’ve seen any of our social media updates recently, you might have noticed we’ve been having a little bit of fun with our new office space. We’ve recently acquired the seventh floor of the Civic Centre and have been coming up with some funky ideas to deck out our new digs. 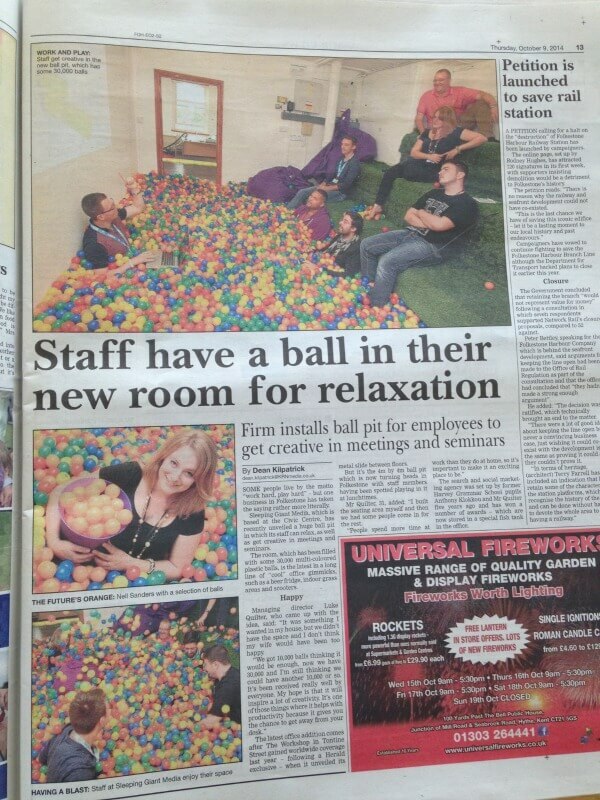 Just one of these ideas, and the first to come to fruition, is our GIANT ball pit! It’s used for meetings, training sessions and general frolicking. A reporter from the Folkestone Herald saw some pictures on Twitter and asked to come in and take a look. Of course, we said ‘yes’! Luke spoke to the reporter: “It was something I wanted in my house, but we didn’t have the space and I don’t think my wife would have been too happy. We’ve had a few meetings in the ball room so far and it’s great fun. What’s great, is that the meetings are no less productive. We can’t wait to get the office space completed. We got the eighth floor looking pretty good, what with the guitar room, the grass area and pool table, so it’s time to extend that down. We’ve got a few more surprises in store, but we’ll be keeping those under wraps for now!